Hughes and Salvidge always like to give back to the communities that we undertake projects in and this comes in the form of creating opportunities for local suppliers and local labour, collecting Easter Eggs for local children’s homes, and completing marathons and other endurance events to raise money for local charities. However, last month we got the opportunity to help out a local youth football club when we were gifted some surplus office furniture. 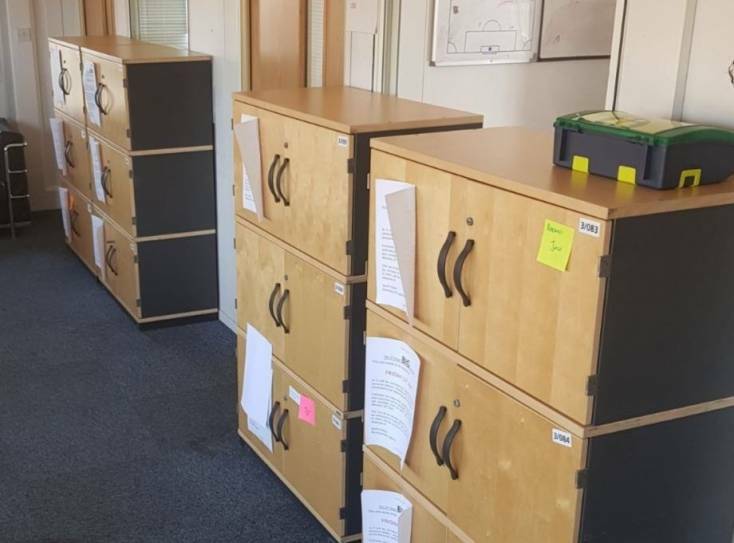 Our Heathrow Airport team were notified of furniture that was due to be scrapped during a refurbishment at the Airport. One of our clients had also mentioned to us that they volunteer at Hayes and Yeading Youth Football Club. We put two and two together, contacted the Club, and our client volunteer, and delivered the barely-used furniture down to the Club ourselves. We are always looking for innovative ways of recycling products from our projects. Please get in touch if you are interested in taking any furniture off our hands. We will be happy to donate when we can.